CEO Mark Pincus announced the layoffs Monday in a note to employees posted on the company’s blog. Zynga, as of the end of last year, had more than 3,000 full-time employees, according to a filing with the U.S. Securities and Exchange Commission. 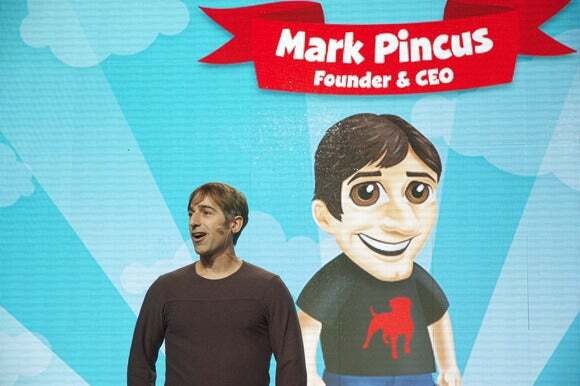 All told, more than 500 employees will be let go by August, Zynga said in a statement. Various offices are also closing, but Zynga declined to comment on specific locations. “This is a necessary step to move forward,” he added. The layoffs are being framed by the San Francisco company as a way to capitalize on the growth of mobile devices and touchscreens that “are revolutionizing gaming,” Pincus said. “By reducing our cost structure today we will offer our teams the runway they need to take risks and develop these breakthrough new social experiences,” he said. Historically, Zynga’s network of users has been tightly linked to Facebook. Until recently the custom was for users to log in to Zynga through Facebook, but in March the company made changes to allow users to create their own accounts on the Zynga site. The move was designed to expand and solidify Zynga’s own user base. Some of Zynga’s flagship titles include FarmVille, County Fair and Zynga Poker. “While our FarmVille franchise continues to perform well, other games are underperforming,” the company said in its press release, without naming those games. The closures of The Ville, Empires & Allies, Dream Zoo and Zynga City on Tencent were announced in April during the company’s announcement of its first-quarter financial results. Zynga’s games are also accessible through Google+ and the Android platforms, but 86 percent of the company’s revenue in 2012 was derived from Facebook, the company said in its most recent annual report. Zynga reported total revenue of roughly $1.28 billion in 2012, up about 12 percent, though a net income loss of $209 million was recorded. The company expects its cost reductions to yield pre-tax annualized cash expense savings of $70 million to $80 million. Updated at 5:40 p.m. PT with more details.